Home » new hires and promotions , South Florida » ERIC M. SODHI NAMED SHAREHOLDER AT RICHMAN GREER, P.A. ERIC M. SODHI NAMED SHAREHOLDER AT RICHMAN GREER, P.A. Miami, FL – March 13, 2012 – Eric M. Sodhi has been named a shareholder at Richman Greer, P.A. . He was previously an Associate with the firm. A graduate of the Emory University School of Law and the University of Central Florida, Sodhi focuses his practice on commercial litigation, products liability litigation, and administrative/regulatory law. 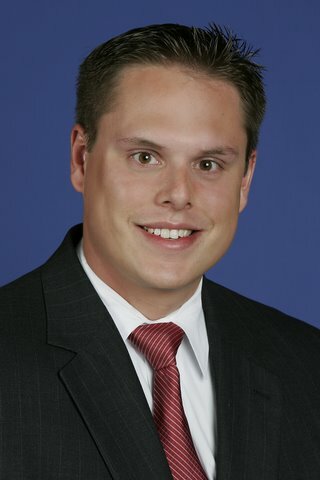 His experience in commercial litigation includes complex business disputes involving RICO claims, tortious interference, and other business torts. Sodhi’s product liability experience focuses on the representation of large industrial manufacturing companies against claims their products are defective or otherwise caused injuries or damages. Sodhi’s regulatory practice involves the representation of both individuals and entities in administrative proceedings and court actions involving administrative decisions and other regulatory issues. Since 2009, Sodhi has been named a “Rising Star” by Super Lawyers Magazine. He has authored articles printed in national and international publications such as Trademark World Magazine and is a member of the American Bar Association, The Florida Bar, and the Dade County Bar Young Lawyers Division. Sodhi is admitted to practice before the United States District Court for both the Southern and Middle Districts of Florida. He is also admitted to practice before the United States Court of Appeals for the District of Columbia Circuit. Sodhi is active in the community and currently serves on the Board of Directors for Florida Legal Services, Inc., (FLS) a non-profit organization dedicated to helping indigent people who cannot otherwise afford a lawyer, obtain counsel to assist them with civil matters and ensuring that poor people have equal access to justice. Sodhi is also an avid outdoorsman and is a Board Member of the Miami Chapter of Safari Club International—an organization dedicated to protecting the world’s natural resources and the heritage and traditions of hunting.